This is the comfort food that I used to have when I was in Kuala Lumpur, Malaysia. 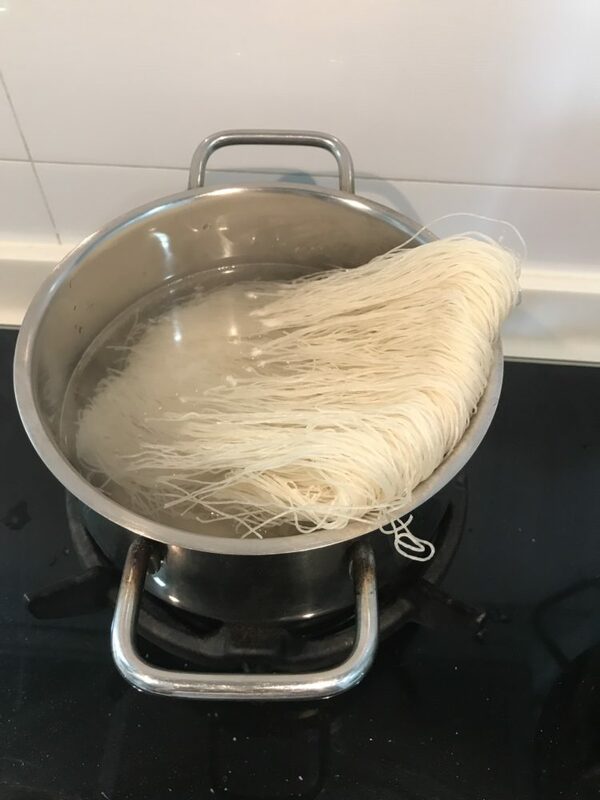 The recipe is inspired by my favourite street stall in KL Woo Pin Fish Head Noodles. 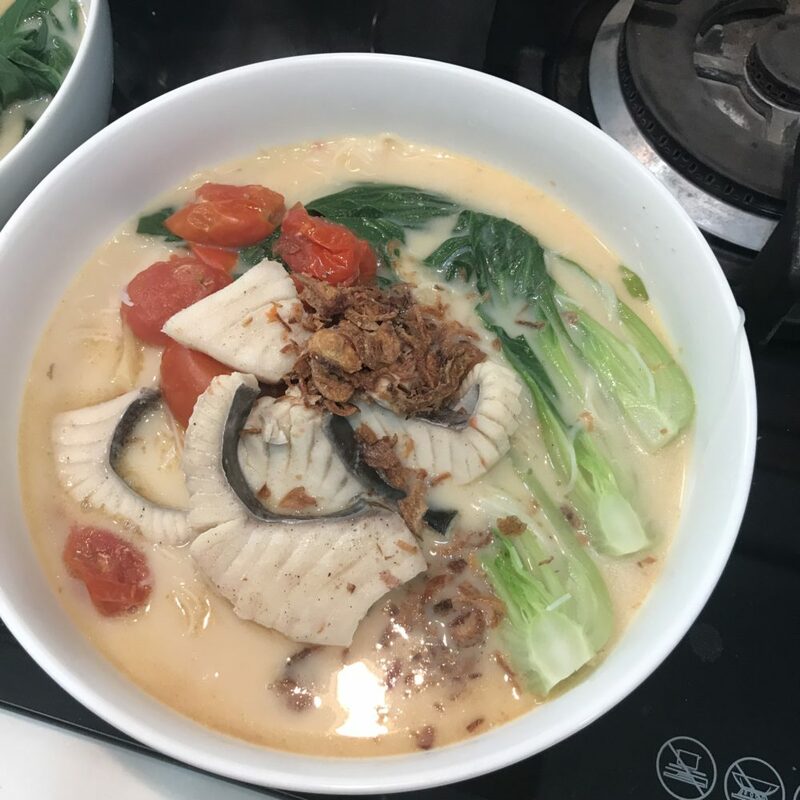 Rich and savoury fish noodles soup, cooked with evaporated milk, and with a generous splash of Chinese Shao Xin rice wine. I love shao xin wine, they taste like Sake or Sherry. It is a good cooking wine for lots of Asian dishes from clay pot chicken rice, drunken prawns or chicken to steamed fish. Due to the extreme craving for this dish, I have no choice but to try to figure out the recipe. 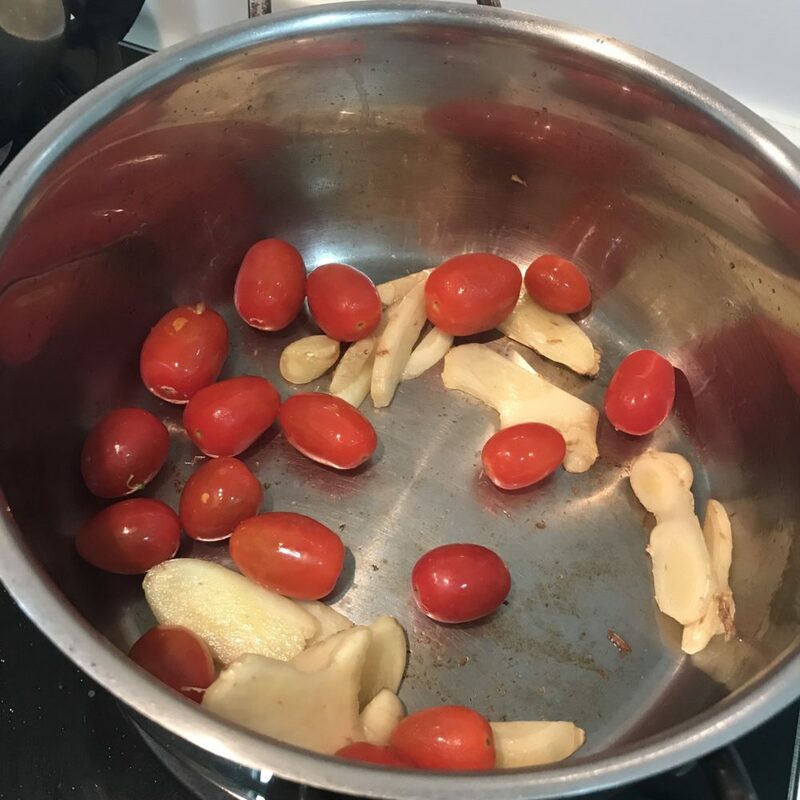 – pour in pre-made fish broth (just boil a pot of fish bones with gingers for hours) if you have. 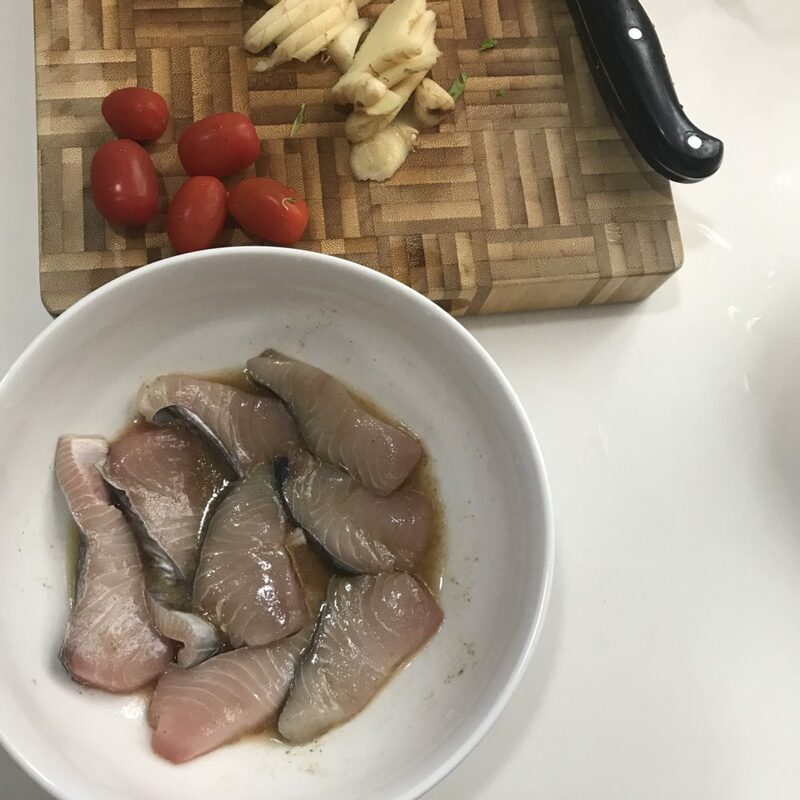 Don’t have time to make fish broth like me? Read the next line. 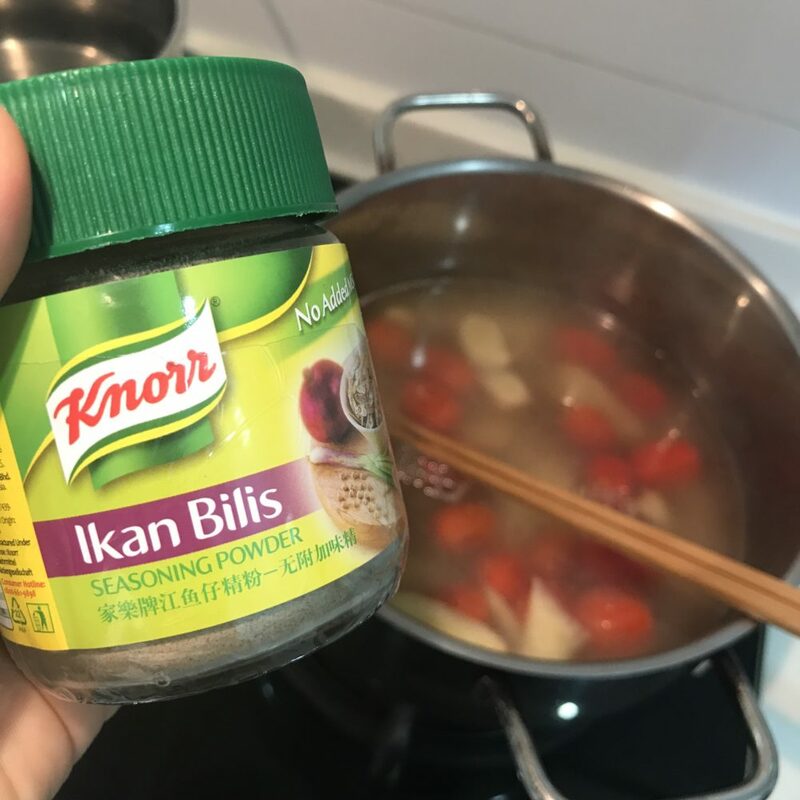 – No fish broth? Never mind, just use 2 tsp of dried anchovies powder with 2 cups of water. Lazy but easy way, like this. Add in some salted vegetables if you have some. – If you have bok choy, add the bok choy into the pot and boil for 1 min. scoop fish and tomatoes onto the noodles, then pour the remaining soup over them. 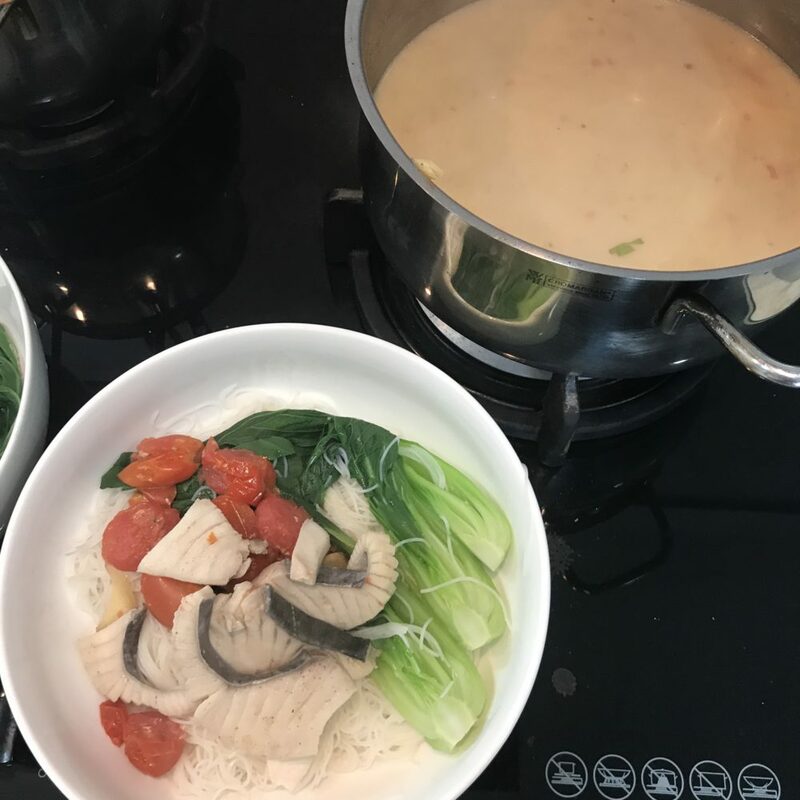 if you love shao xin wine, pour another tbsp over the soup! Wait, What happens to the uncooked, leftover shao xin wine and evaporated milk? Substitute evaporated milk to normal milk to your coffee or tea in the morning. Evaporated milk is not sweetened, but they give a nice silky texture to your morning drinks. They last up to a week in the fridge.